The last picture of my dad. And the blur actually only adds to my imagination. 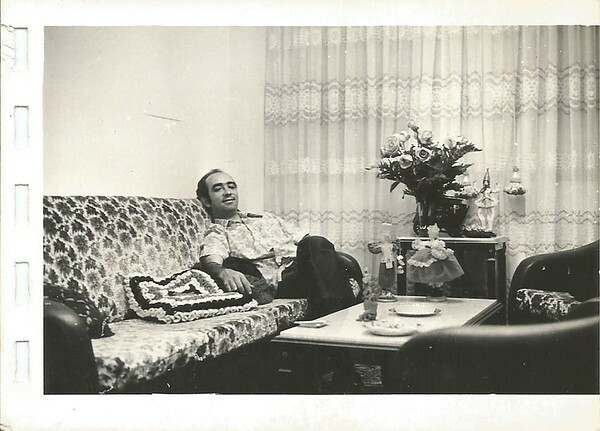 My newlywed dad comfy on his sofa. He used to be the one taking the pictures in our family. I make photos since I was 16 years old. I always liked having a camera around. But until recently, I wouldn't explain clearly why I like photography so much. I lost my dad at the age of 7. Everything happened rather fast. He was a healthy, strong and stubborn man. A caring father and husband, even though quite tough on the outside. He liked things his way and was particularly not patient when we misbehaved. We used to spend a lot of time in a farm and my brother and sister were always fooling around and giving him reasons to get angry. I am the youngest and wasn't really allowed to join them on their adventures. Suddenly dad got a strong and persistent fever and in only three months he left us. Mom, older sis (14), older brother (13) and myself (7). To be honest I do not have much of a memory from my life back then. What I "remember" comes from the stories mom and siblings tell. They looove recalling those memories and they tell the same story over and over again, always with the same excitement. Looking back, I don't wish things were different. Do not get me wrong. This early tough experience taught me to appreciate things the way they are and stop trying to fight against what I have no control over. Ultimately, I grew and became a stronger person. 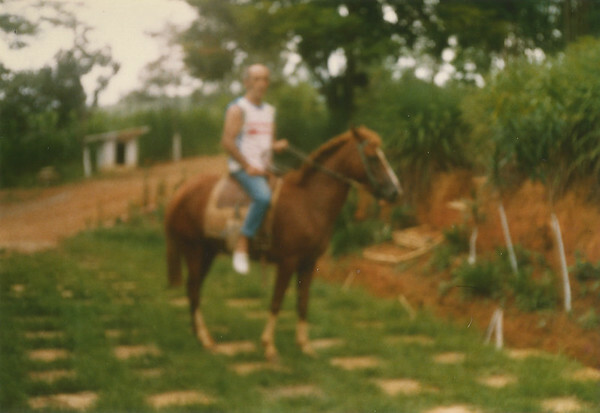 Back to photography: The last picture of dad was out of focus and blurred. And it does not matter - It is a precious image that I keep with me and that, somehow, shaped how I remember him. As a Documentary Family Photographer, I want to create images that will be treasured by you and your family for years to come. Having the privilege of creating these images is why I love so much photography!